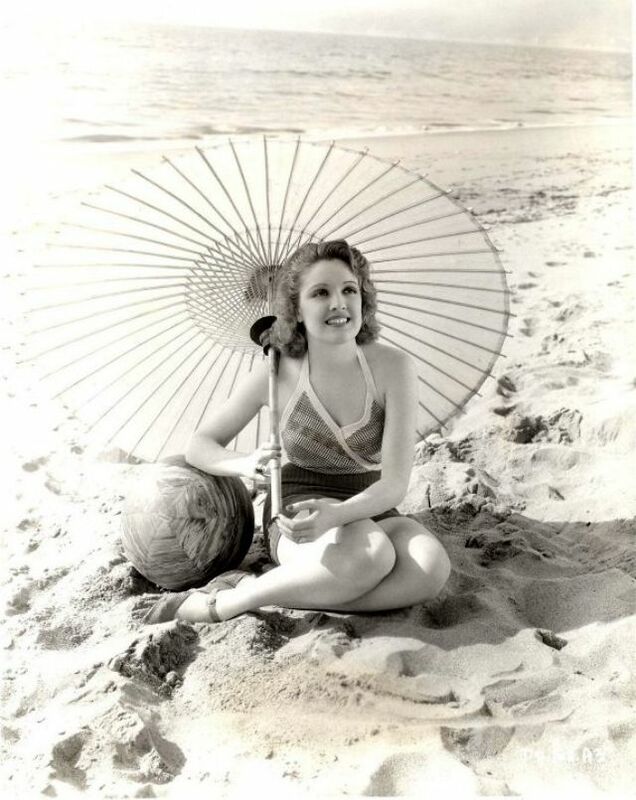 While the 1920s started the trend for leisure activities like swimming, it was economic changes in the 1930s that made swimming a past time for everyone, not just those lucky enough to live near a beach. 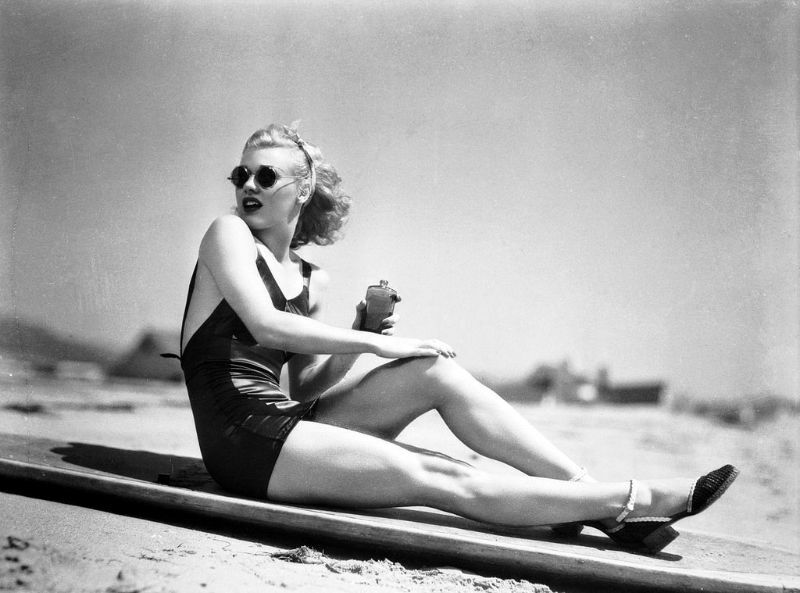 Yarn covered in rubber invented in 1931 to make swimwear much more comfortable and lighter to wear. 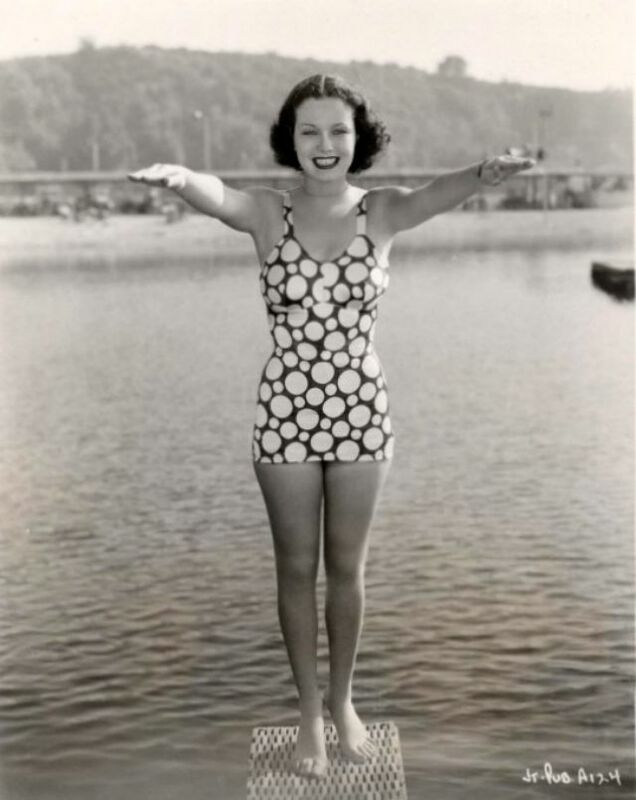 Previously all wool swimsuits looked fine dry but sagged terribly when wet and weighed a few extra pounds, too. 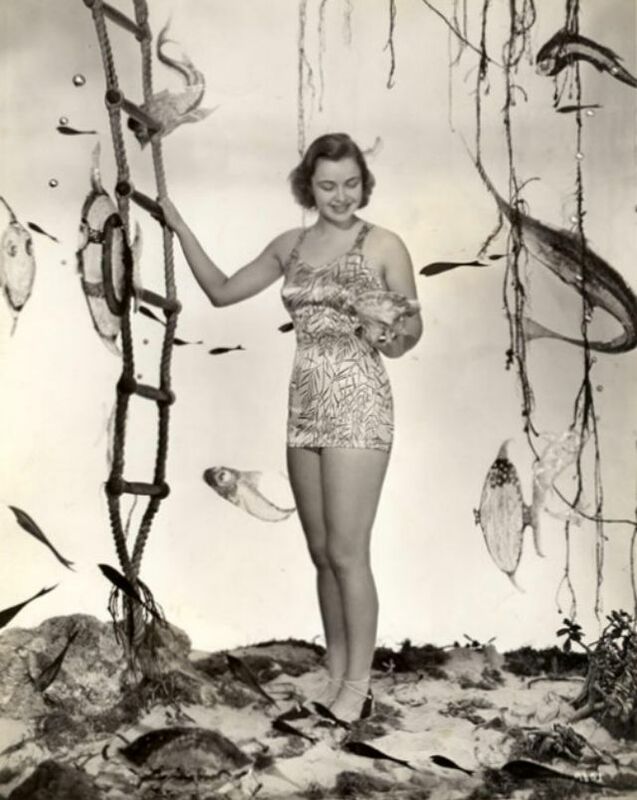 With less sag, thinner material and a stiffer stretch to it, it was possible for designers to build in support for women — girdles and light bras. 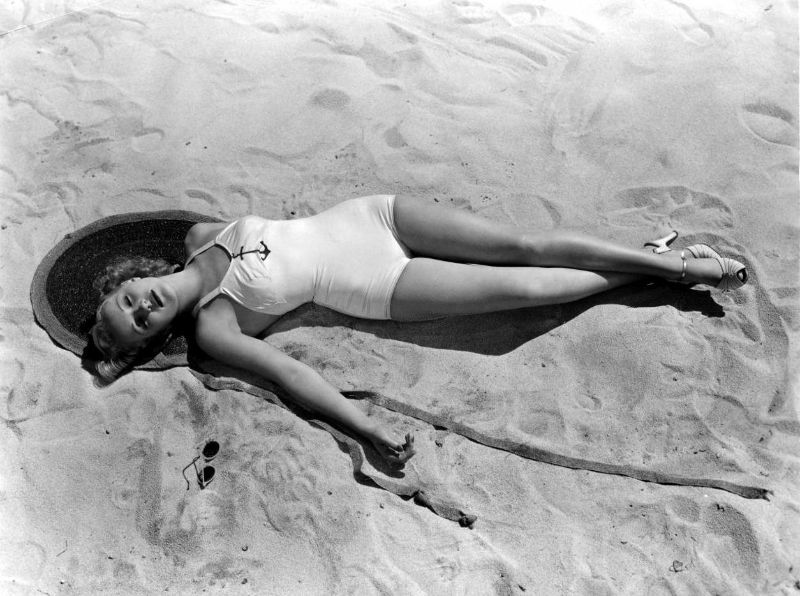 This helped women of all shapes look and feel better in swimwear. 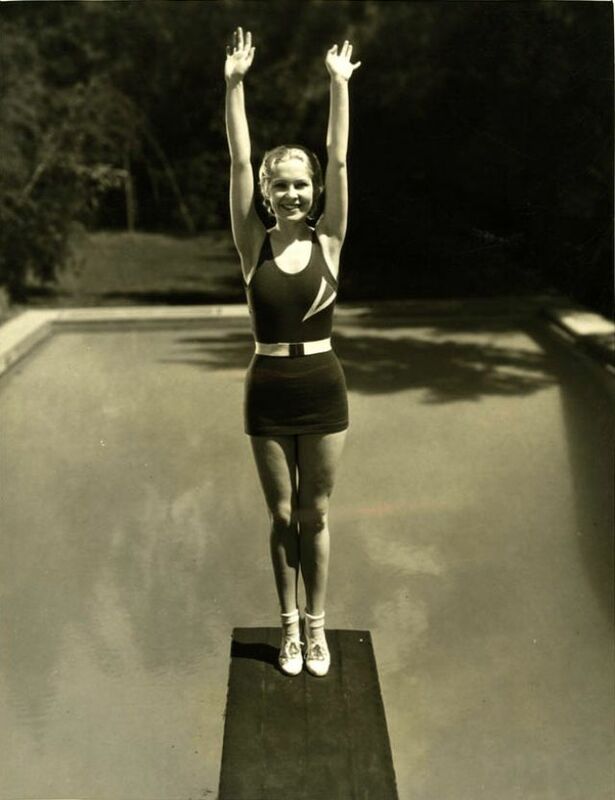 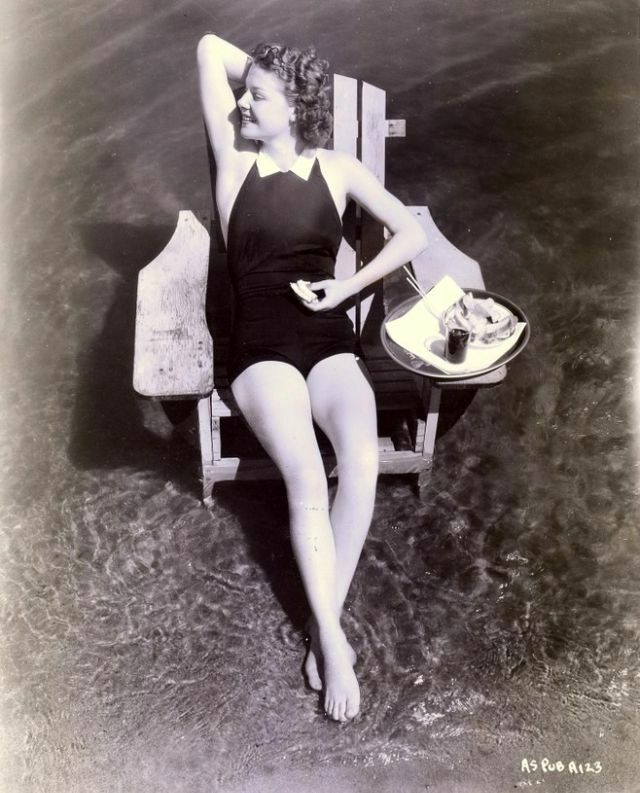 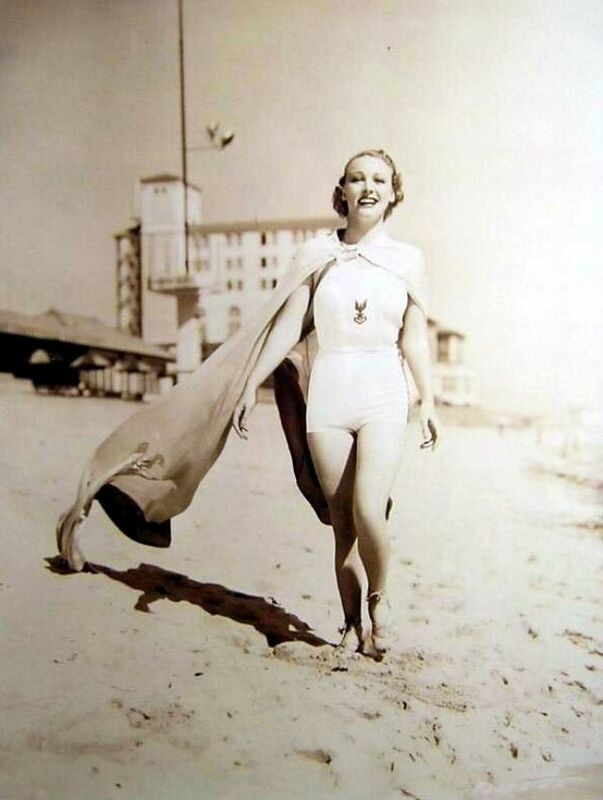 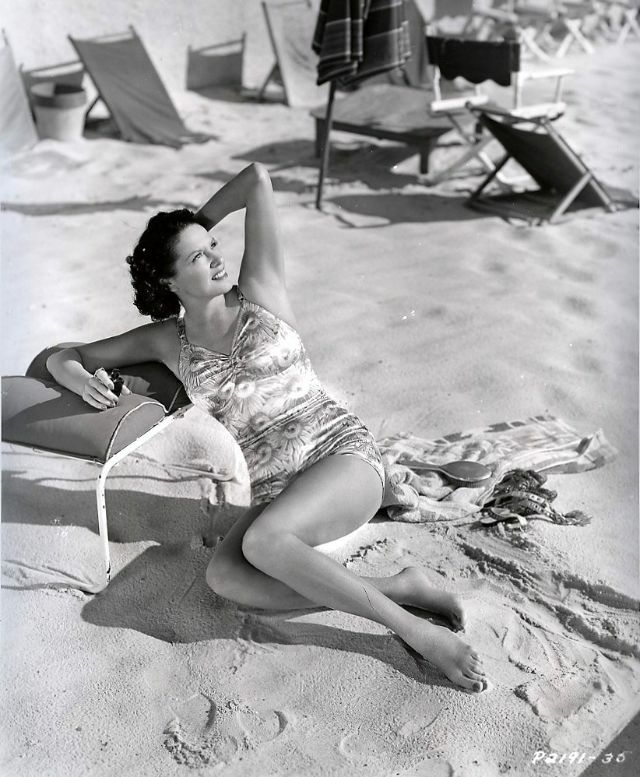 The 1930s swimwears could be made of cotton or Rayon, which was more comfortable against the skin than wool. These glamorous photos captured portraits of classic beauties that defined the 1930s swimwear styles.